Vietnam will never forget the considerable assistance they received from the former Soviet Union (now Russia) during the struggle for national independence and the cause of national construction, said Ho Chi Minh City People’s Committee chairman Le Hoang Quan at a reception on July 27 for Vietnam’s hero cosmonaut Pham Tuan and Russia’s hero spaceman Victor Gorbatko. 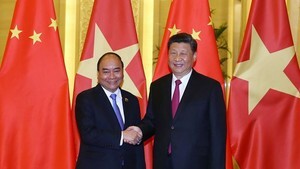 Gorbatko expressed his joy at revisiting Vietnam on the celebration of the 30th anniversary of the Vietnam-Russia friendship space-flight mission and bilateral cooperation the two nations have enjoyed in many fields. The Russian cosmonaut recalled his memories about the joint training and flight on the “Union-37” spaceship with Pham Tuan 30 years ago, as well as his earlier visits to Vietnam. 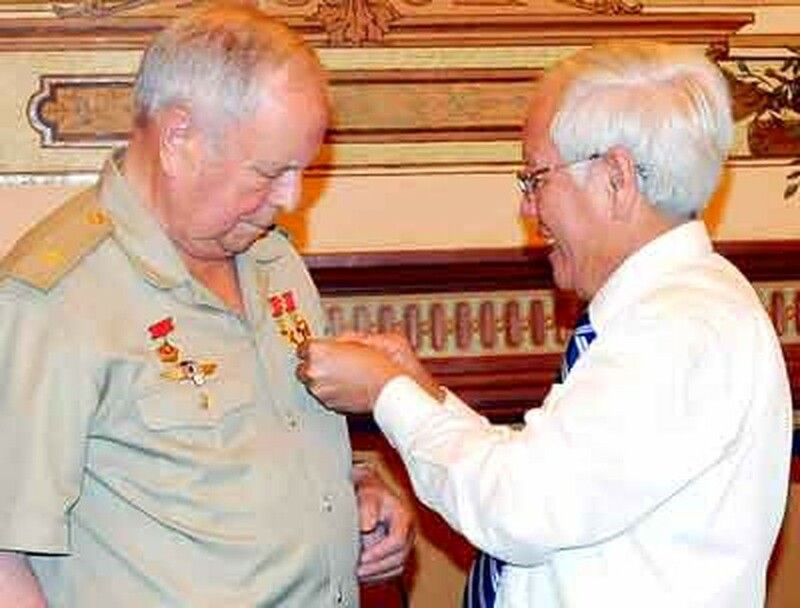 He went to Cam Ranh in the central province of Khanh Hoa in 2009 to participate in the unveiling of statues depicting Russian soldiers helping Vietnam in wartime. The aerospace flight of the “Union-37” spaceship mission with cosmonauts Pham Tuan and Victor Gorbatko aboard from July 23-31, 1980, became an historical event and the pride of the two nations. It landed safely after six days of conducting scientific research programs.